Did you hear that winter is near ? …You mean winter is here ! Seasons come and go but suiting up and being well dressed never leaves. For the ice cold months of winter being picky with fabric would be a wise choice. Ultimately the fabric for suiting will determine whether or not your mind will be preoccupied all day thinking about the warmth of your bed and the constant battle between defrosting yourself in front of the heater or sizzling alive from the heater. A key feature to look out for in winter suits is half or fully-lined suit jackets as not only do they provide maximum warmth, they also help retain the structure of the suit but minimizes the crinkles and wrinkles. By default, wool is always a good choice for its fiber properties: it resists wrinkles, retains shape, resists soiling, is durable: multi-part fiber resists wear, repels moisture, retains shape, resists flames, keeps a layer of air next to the skin. 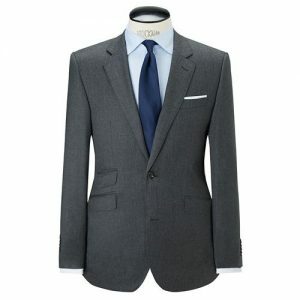 Worsted wool is the most used wool for suiting but is considered mid-weight wool, which is followed, by tweed and then flannel being the heaviest amongst them all. Not only does a tweed suit provide warmth but due to its production process of a three coloured yarns combination twill – it creates a unique pattern which makes it durable and water resistant. Perfect for those rainy days. If you have more than a bit of spare change, look no further than the luxury lines of flannel wool-cashmere and cashmere. Cashmere is infamous for the fabrics soft, silky and smooth texture, warmth and comfort but the only downfall is the durability. A little extra care will need to be taken with cashmere suits and a nifty little tip is to keep some mothballs in your wardrobe and the suit should be dry cleaned only. Due to its exceptional adaptability to climate change, you won’t have to worry about shivering in the cold. Colours aren’t the only thing to look out for this season. To give your suit a little more character, play and experiment with patterns. Patterned fabrics including checks, stripes, hounds tooth, quilted fabrics, jacquards and heavily embellished fabrics. New features and details on suits will subtly shift the look of an ordinary suit and won’t cost you an arm and a leg. Layering of different patterns including suit shirts is an alternative to wearing bold colours and finish off the look with scarves, ties (try a knitted tie), lapel pin, pocket squares and a hat.